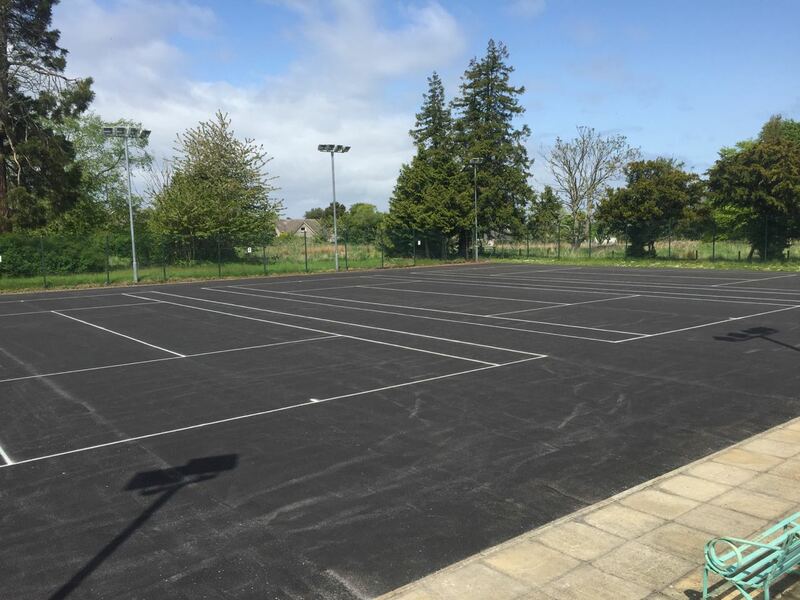 Club’s macadam courts were resurfaced by DOE Sports (North). 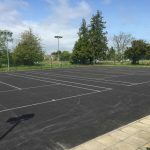 The old worn macadam surface was relaid with a new surface of 6mm Open Pore Macadam. 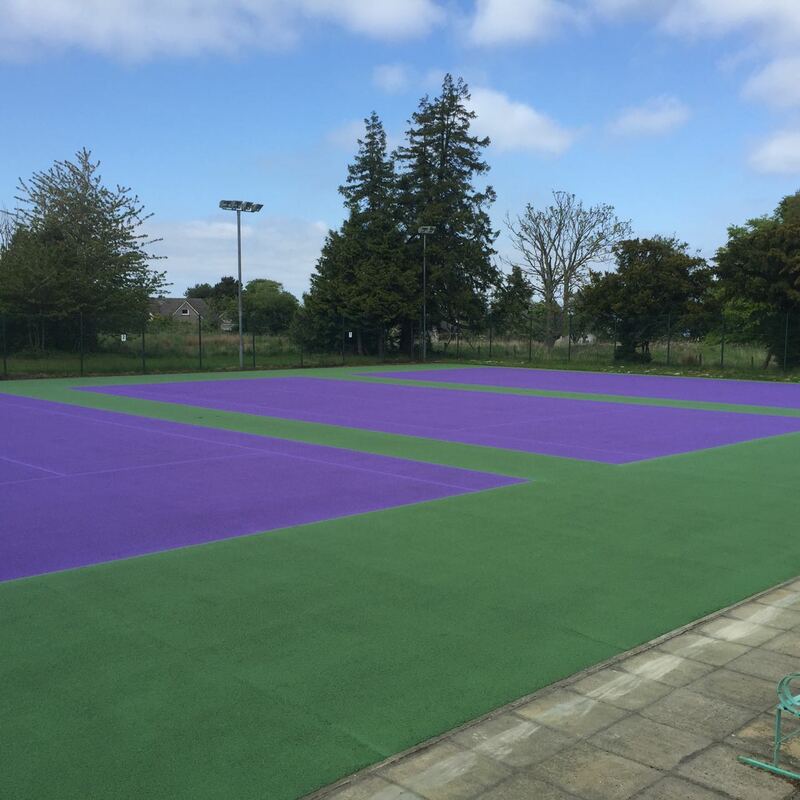 ColourWorks were sub-contracted by DOE to carry out the colour coating and lining for the Club. 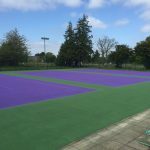 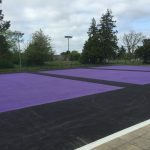 Courts were painted in Wimbledon colours, using Wimbledon Purple to paint the inner Play Areas and Standard Green applied to the outer Run Offs. 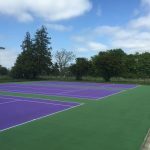 The Wimbledon Purple we use was developed initially by our paint supplier – Everlac Sports Coatings to paint the courts at Andy Murray’s Cromlix House Hotel in 2014.